Verizon Wireless 4G LTE Network Extender by Samsung. Condition is Used but is like New. Perfect working condition. Shipped Free with USPS Priority Mail. Quick and easy to install, the device connects to your existing high–speed internet connection. The 4G LTE Network Extender provides voice and data for up to 14 active users simultaneously. Quickly set up and operate your 4G LTE Network Extender with the help of a large and helpful LCD screen. Samsung Network Extender SCS-2U01 Verizon Wireless SCS2U01 Signal Booster. The Network Extender supports all Verizon cell phones and, once added to your or, anyone's Verizon account, will also allow most prepaid and similar phones to use the extender as well. SAMSUNG NETWORK EXTENDER SIGNAL BOOSTER SCS-2U01 for Verizon Wireless Network. Condition is Used. Utilizes your always–on Internet connection. Quick and easy to install, the device connects to your existing high–speed internet connection. † Supports up to 14 active users at once. The 4G LTE Network Extender provides voice and data for up to 14 active users simultaneously. Model: (SLS-BU103). Only used once. - 1 LAN port. - Does not support legacy 1X voice or 3G EVDO data services. Samsung Network Extender SCS-2U01 Verizon Wireless SCS2U01 Signal Booster OpenBx.Device is in good used condition.Comes with original box( box is ripped on the top), original power cable, ethernet cable,GPS external cable( unused) ans safety guide. Fast SHIPPING. Samsung Network Extender. Verizon Wireless Signal Booster. The new 3G EVDO Network Extender will boost data coverage along with supporting voice calls. 2 Network Extenders for sale. They work perfectly fine. The cell tower in our area has been updated and we no longer need them. #(331915591) Up For Auction A New Manufacturer Refurbished Samsung Network Extender SCS-2U01 Verizon Wireless SCS2U01 Signal Booster What Included: -Samsung Network Extender SCS-2U01 Verizon Wireless. -Lan Câble. -AC/DC POWER ADAPTER. -GPS External Cable. -Quick Start Guide, Product Safety. I Will Be More Then Happy To Answer Any Questions You My Have. Happy Bidding And Thank You For Looking. 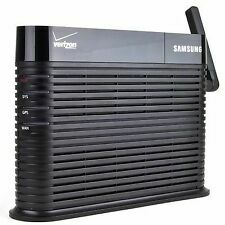 Here is a Samsung Network Extender 3G signal Booster SCS-2U01 for Verizon network. Tested and working. See photos. These are for a Verizon network. Verizon Wireless Network Extender. Samsung/Verizon Extender. What you see is what you get. I am not sure if this is used or not, I don't know anything about it. Samsung Network Extender 3G Signal Booster SCS-2U01 used works great. NEW Samsung Network Extender SCS-2U01. 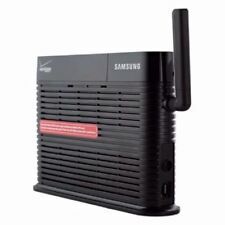 Samsung Network Extender 3G Signal Booster SCS-2U01 for Verizon Wireless Network. 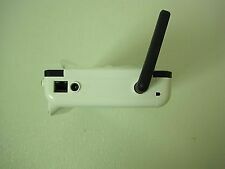 Purpose: For boosting weak cell phone signals on the Verizon Wireless Network. • UserGuide (downloaded on line and printed). Verizon Wireless Network Extender. Samsung/Verizon Extender. What you see is what you get. Quick Start Guide. Trending at $46.63eBay determines this price through a machine learned model of the product's sale prices within the last 90 days. 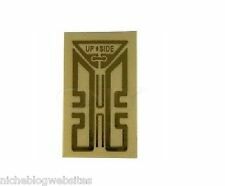 Samsung Cell Phone Signal Booster - Verizon Wireless Network Extender SCS-2U01 Condition is Used. Shipped with USPS Priority Mail. Brand new , never activated verizon Samsung range extender. 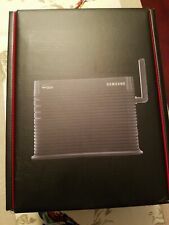 Samsung SCS-2U3100 Verizon Network Extender For Business like new open box. Thanks for looking and thank you for your business! This is a Samsung 3G Cell Phone Signal Booster- Verizon Wireless Network Extender SCS-2U01 that includes one long cord (antenna) that has two (2) sections for plugging in and a power adapter. Trending at $35.22eBay determines this price through a machine learned model of the product's sale prices within the last 90 days. Condition is Used. Ionly used it for about a year because I lived out in the sticks and couldn’tget a signal. This worked wonders! This is a 3G network extender. 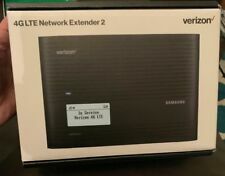 Verizon Wireless Samsung Network Extender CS2U01 - Everything Included. 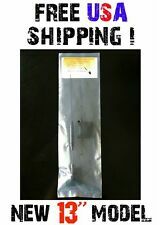 Samsung Cell Phone Signal Booster - Verizon Wireless Network Extender SCS-2U01 Condition is Used, Like New. Model SCS-2U01 is designed for 3G and below phones. Everything included for installation.